Blog | Cape Porpoise Lobster Co. When you dig in to a plate of delicious lobster, the crustacean on your plate is a bright shade of red. However, lobsters in the wild look much different—they’re usually brown, green, dull blue or olive-gray. What causes the dramatic change? Science has the answer. Lobsters have astaxanthin, a pigment that can absorb blue light, in their shells. Under certain conditions, this pigment makes the shell look red. When the crustacean is alive, the pigment is tightly bonded with a protein in the shell, called the crustacyanin. The pigment is wrapped up so tightly inside the protein that it stays put, unable to flow or absorb light. That’s why lobsters in the wild don’t appear red. However, when a lobster is cooked, the boiling water changes its body chemistry. The astaxanthin pigment separates from the crustacyanin protein, which is not heat-stable. Once free of the crustacyanin, it absorbs blue light and the lobster turns red. Pretty amazing, right? You’ll see the same phenomenon in crabs, as well as in shrimp, which are gray in the wild but pink when cooked. Next time you tuck into a delicious plate of seafood, take a moment to think about the fascinating science behind what we eat. Now that you know why lobsters turn red when cooked, it’s time to order some lobster and get cooking! Call Cape Porpoise Lobster Co. at 1-800-967-4268 to get fresh live Maine lobster delivered to your front door in under 24 hours. Want to serve some addictive finger food at your next gathering? We suggest whipping up some lobster and bacon stuffed jalapeno bites. This easy appetizer can be ready in less than half an hour. For a main course with a spicy kick, try this spicy lobster pasta. In summertime, pick up some fresh tomatoes at your local farmer’s market for maximum deliciousness. Can’t get enough lobster pasta? 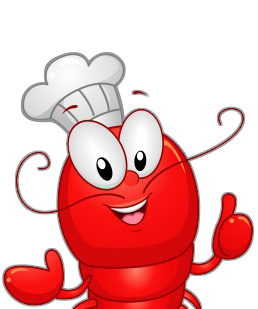 Check out this recipe for the Italian specialty lobster fra diavolo. It’s a real treat for special occasions. “Laissez les bon temps rouler” with some spicy Cajun lobster tails served with lemon garlic butter. Make some dirty rice to serve on the side and you’ve got a fantastic Louisiana-style meal! What’s better than deep-fried lobster? Deep-fried lobster slathered in Sichuan pepper chili oil and fried garlic, of course! If you think you can handle this level of spice, make some Asian-style fried lobster. You probably already know that Sriracha sauce livens up everything from stir-fries to eggs. You can even make super-simple grilled lobster tails with Sriracha butter for a simple but delicious meal. What are you waiting for? Fire up that grill! If you’re planning to make any of these spicy lobster dishes, the first step is to order some top-quality lobster. Check out Cape Porpoise Lobster Co. for delicious lobster and other seafood delicacies that can be at your door in under 24 hours. Call 1-800-967-4268 to place your order today! 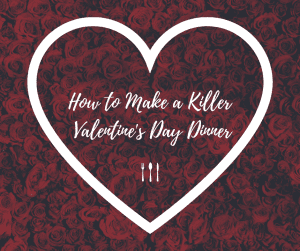 Valentine’s Day is right around the corner, and you want to wow your date by skipping the overrated restaurant reservations and cooking her a delicious dinner at home. You’ve made an excellent choice—but now what? Lobster is a romantic classic. We recommend this recipe for Croatian lobster pasta to impress your Valentine. Some guys think they need to whip up a whole smorgasbord of dishes to impress their dates. Wrong! You’ll stress yourself out spending all day in the kitchen and won’t actually get to enjoy the evening. Focus on a show-stopping main course, like the lobster pasta above, and serve it with a simple salad as a starter and chocolate-covered strawberries for dessert. Small details will show her how thoughtful you are. A table set with fresh flowers, a special playlist and candlelight will create the perfect V-Day ambiance. Nothing kills the mood faster than having her sit by herself at the table while you’re in the kitchen. Make sure to read all recipes in advance so you know exactly how much cook time you’ll need and do as much prep work as possible before she arrives. Thinking of serving some delicious Maine lobster to your Valentine this year? Make sure to order in advance from Cape Porpoise Lobster Co. We offer free overnight shipping for all orders of our lobster and other seafood delights. Call 1-800-967-4268 to order your Valentine’s Day lobster today! Posted January 28, 2019 by Cape Porpoise Lobster Co.
Valentine’s Day is just around the corner, which means the clock is ticking to decide how you’ll show your special someone how much you care. Nothing says Valentine’s Day like a romantic candlelit dinner at home with a classic surf and turf dish. The pairing is actually one of the most popular dishes made on Valentine’s Day. The combination of a hearty, juicy steak with tender, buttery lobster exemplifies luxury. 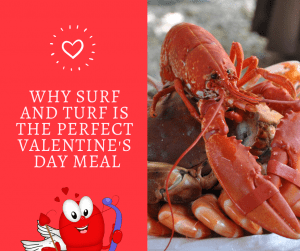 Not only is surf and turf a decadent and impressive offering to prepare for your special someone, but it’s also very easy to prepare. We recommend going with a filet mignon and pairing it with a lobster or lobster tail. The steak will require a pan sear and a short time in the oven. Lobster can be prepared in a variety of ways, including being steamed, broiled, pan-roasted or grilled. One added bonus is that the delectable lobster on your plate is not only going to be tasty, but it’s also classified as an aphrodisiac, setting the mood for the rest of the night for you and your special someone. 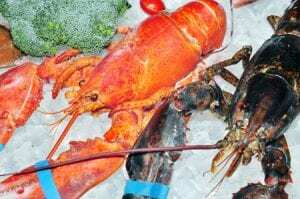 Lobster gets this classification from being equated with luxury as well as having to eat lobster with your hands and the red color of the shell, which is associated with hearts, love and Valentine’s Day. Lobster is not only delicious, but it’s also nutritious, being a great source of zinc, B-12 and lean protein – all of which contribute to your physical and mental wellbeing. Make sure you look at our Valentine’s Day lobster specials and place your order today! Contact us by calling 1-800-967-4268 with any questions you may have. Happy Valentine’s Day! Do you love cooking with fresh Maine lobster and other seafood as much as we do? 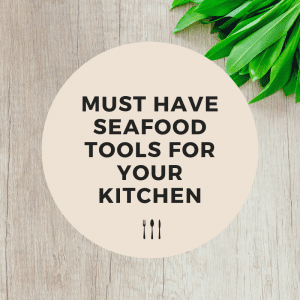 If so, may we suggest some must-have seafood tools for your kitchen? Before you know it, you’ll be wondering how you ever cooked or served seafood without them! In order to get to the meat in your lobster’s claws, you’ll need a pair of seafood scissors. This tool is preferable to a seafood cracker, which can leave unwanted shell particles in the meat. Hot butter is the perfect accompaniment for just about any type of seafood. Make sure you and your guests always have perfectly melted butter by setting butter warmers at each place setting. Before you can enjoy shrimp cocktail, popcorn shrimp or any other favorite dish, you’ll need to clean and devein your shrimp with this handy tool. Opening your favorite shellfish will be a snap when you have the proper tool. 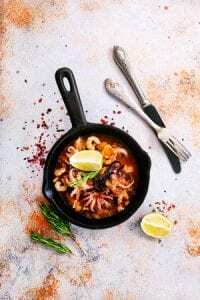 One of the most common mistakes when cooking seafood is to place it in a pot that’s too small. These specially designed pots are large enough to properly steam lobster and any other seafood delight. You’ll need a good pair of tongs to remove your seafood from its seafood steamer. So, you’ve got the tools, and now it’s time to get some fresh Maine lobster! Call Cape Porpoise Lobster Co. at 1-800-967-4268 today to get real Maine lobster and other delicious seafood at your door in 24 hours or less. Make sure to sign up for our newsletter to get the latest discounts on all of our products! Here at Cape Porpoise Lobster Co. our fresh frozen Maine lobster tails are some of the most popular items ordered. Available in five different sizes and shipped overnight, they are a delicious dinner option whether you plan to boil them, cook them in a pan or prepare them on the grill. The first step to take is thawing your fresh frozen lobster tails, a process we’ve outlined below. Regardless of which way you plan to prepare your lobster feast, the first step is thawing the shellfish. To ensure the best flavor and texture, it is important that your lobster reach room temperature before cooking begins. Start your meal preparation by placing your frozen lobster tails in a covered bowl, leaving them in the refrigerator overnight. It will take between 12 and 24 hours for them to thaw completely, and once thawed you will want to take them out of the refrigerator 30 minutes to an hour before cooking. This will allow your lobster tails to reach room temperature, perfect for cooking. Now that you’re ready to start cooking, here are a few of our favorite ways to prepare your meal! In a pot large enough to hold all of your tails, bring water to boil, including salt and any other seasoning you prefer. Once the water has reached a rolling boil, use tongs to add your tails in one at a time. When all of the tails (or as many as can fit) are inside the pot, let the water boil again, then reduce heat and simmer for three to four minutes. Meat should be white throughout, and can continue to boil – checking every minute or so – until it is ready. The perfect way to cook your lobster tails on a hot summer day, head outside and fire up the grill for a smoky treat. While you are waiting for your tails to reach room temperature, take a few minutes to prepare your basting sauce, made from minced garlic, lemon juice, butter and spices of your choice. Heat up the grill – basting your lobsters while you wait for it to get hot – then toss them on shell side up over medium-high heat. Give the meaty side about five minutes to sear, then flip the tails over and allow the shell side to cook. Keep an eye on the color of your meat as the tails continue to cook, leaving them on the grill until they are white in color and firm to the touch. Once your lobster tails have reached room temperature, there is a bit more work required before it’s time to start cooking you lobster in a pan. For this step, all you will need is a pair of kitchen shears and a steady hand. With the thickest part of the shell facing up, take your kitchen shears and cut the shell lengthwise down the middle, starting at the base of the tail and working towards the fin. After the shell has been cut, work to loosen the lobster meat inside and carefully remove it from the shell. Also remove any gelatin from the meat and rinse with cold water. As you are working, you can begin boiling water in your pan, adding small pads until you have enough butter boiling to cover your lobster tails. The lobster tails will need to cook for five to eight minutes, submerged in butter until they are firm to the touch and white in color. Whichever way you choose to cook your lobster meal, start by ordering your tails fresh from coastal Maine waters! Cape Porpoise lobster tails are caught fresh, cut and immediately frozen. Available in small, medium, large, jumbo and giant sizes, there are options available for every family and gathering. Order with us online or by phone at 1-800-967-4268. If you’ve never bought fresh Maine lobster online, you might have some questions. Will the lobster really be fresh? Will it get to you in time? Here at Cape Porpoise Lobster Co., we’re here to answer your questions and soothe your fears. Did you know that it’s actually common practice to sell tasteless, tough California spiny lobsters as American lobster tails in supermarkets around the U.S.? Why buy subpar seafood when you can get the best? We buy our lobster directly from fishermen on Maine’s Cape Porpoise Pier, so you know you’re getting the real thing. We also operate our very own FDA HACCP-certified seafood plant, ensuring that your lobster is clean and healthy. At your local market, do you know how long the lobsters have been in the tank? Do you know where they were before that? These are important questions, and when you buy lobsters online from Cape Porpoise Lobster Co., you’ll have the answers. We use no chemicals or preservatives, and our frozen gel packs keep your lobster fresh on its way to you. Got a dinner party or barbecue coming up? No need to worry that your lobster won’t arrive in time. We guarantee that it will arrive at your door within 24 hours of you placing your order. 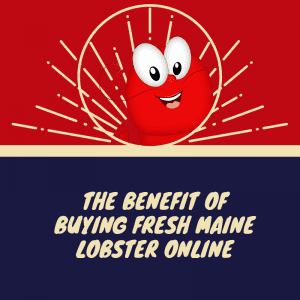 Now that you know some of the reasons to buy fresh Maine lobster online, it’s time to place an order! Call Cape Porpoise Lobster Co. at 1-800-967-4268 today to get real Maine lobster at your door in 24 hours or less. Make sure to sign up for our newsletter to get discounts on lobster and other seafood products! This Christmas, why not wow your guests by skipping last year’s ham or turkey and serving a delicious seafood dinner instead? Your Christmas guests will feel like they’re eating in a fancy restaurant with this seafood entrée. Buttery and indulgent yet tender and delicate, we guarantee this dish will be a new holiday favorite. Scallops get a Christmas spin with this recipe. The cinnamon-spiced pomegranate glaze will fill your kitchen with holiday aromas. Looking for a simple, elegant Christmas appetizer? Look no further than this easy recipe. Top the oysters with bread crumbs for a sophisticated touch. Once everyone is seated for Christmas dinner, wow them with this aromatic starter. Serve it with crusty bread on the side so guests can savor every drop. Seafood lovers will go wild for this entrée—an Italian fisherman’s stew with various kinds of fish and seafood. Bonus: the recipe calls for preparing the dish in a slow cooker, freeing up valuable stovetop space! 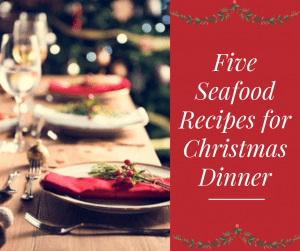 If you’re planning to put any of these delightful dishes on your Christmas table, you’ll need the best-quality seafood you can find. Check out Cape Porpoise Lobster Co. for delectable lobster, fresh Atlantic Sea scallops, crab and other seafood delicacies that can be at your door in under 24 hours. Got a crowd coming to celebrate? We offer fantastic prices on wholesale lobster orders. Call 1-800-967-4268 to place your order today! If you’re anything like us, Maine lobster is one of your favorite foods. Healthy, versatile and delicious, lobster is truly one of nature’s best gifts. 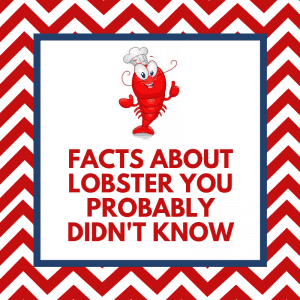 So if you love lobster, you’ll enjoy learning some fun facts about this amazing crustacean! In Colonial times, lobster was considered a poor man’s food, only eaten by paupers and animals. My, how things have changed! Now, lobster is widely considered a delicacy. Lobsters that lose a claw or an eye can usually grow another, although the replacement appendage will likely be smaller than the original. In fact, lobsters can amputate their own claws to escape danger! The largest lobster caught in Maine measured 36 inches from nose to tail. In Nova Scotia, an even larger one was caught in 1977 – it was 3.5 feet long and weighed 44 pounds. Just think of all the lobster rolls you could make with that! The Maine lobster fishery dates to the 1600s, and now contributes over $1 billion to Maine’s economy each year. 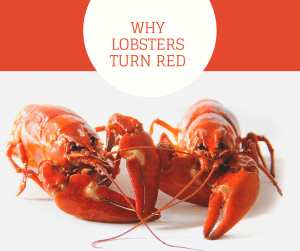 While many of us think lobsters are red, this color only appears when they are cooked! Lobsters sometimes range in color, from brown to yellow and even blue. Odd-colored crustaceans are one in 30 million or so and are often caused by genetic defects and mutations. Hard-shell lobsters, typically caught from December to June, have a briny taste and are meat-dense. From July to November, New Shell lobsters are more prevalent. These have a sweet flavor and tender texture. Now that you’ve learned some interesting facts about Maine lobster, we’re sure you’re hungry. Cape Porpoise Lobster Co. offers fresh, delectable Maine lobster, with free overnight shipping for every order. We’ve also got lobster dinner kits and samplers for any occasion. Call 1-800-967-4268 today to place your order! As the lobster lovers we are, the team at Cape Porpoise Lobster Co. believes no gathering is complete without a delectable lobster dish or two. 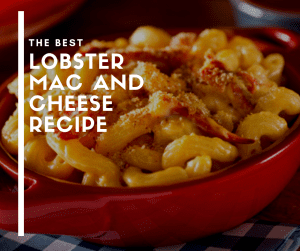 Our blog is filled with an endless number of lobster and seafood recipes just for you, one of our favorites being lobster mac and cheese! Full of flavor and easy to make in large quantities, lobster mac and cheese is sure to be a crowd-pleaser at any event! This home-style recipe involves less than 30 minutes spent in the kitchen. With easy-to-follow directions and a full list of ingredients, all you have to do is double, triple or quadruple the recipe and cart it off to your next gathering! Kids will be asking for second helpings and adults will be begging you to share your lobster mac and cheese recipe! Trust us, you’ll want the freshest lobster tails for this recipe. Look no further than Cape Porpoise Lobster Co. All US orders include free overnight shipping. Order your lobster online now or call 1-800–967-4268 to place your order!